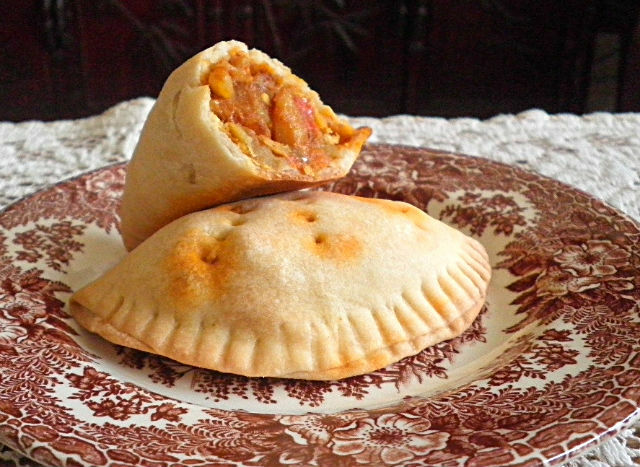 Hand pie is an individual serving of a buttery and flaky pastry stuffed with either sweet or savory filling. 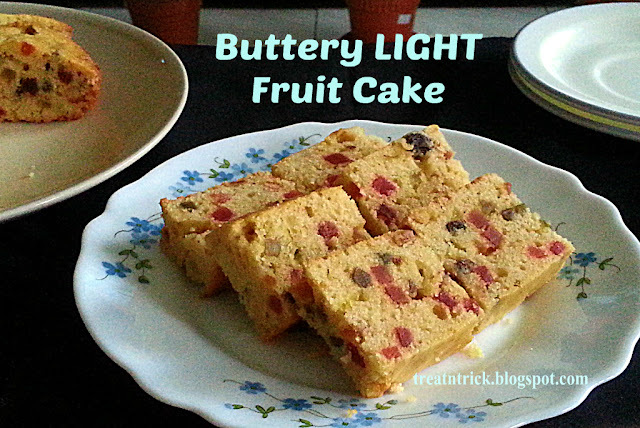 This also makes a great portable snack during picnics or small gatherings. They are so versatile that you can use your leftover chicken, meat, veggies or even fruit preserve as their filling. 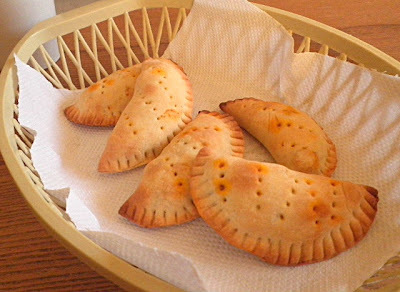 Hand pies can be make well in advance and stored in the freezer. It is so much easier if you grate the hard block of butter rather than to wait until you are able to cut them up. This way, it is easily incorporated to form a dough. If you don't feel like messing with veggies, you can opt for frozen mixed vegetables. It works great. Place flour and salt in a mixing bowl. Add in butter, mix until mixture resembles coarse crumbs. Add ice water, a tablespoon at a time until it forms into soft dough. Cover in plastic wrap, refrigerate for at least 30 minutes. Heat the oil, saute the onion, garlic and ginger until fragrant. Add in tomatoes, cook until it turns soft. Mix in the chili powder and curry powder, fry until oil separates. Throw in carrot and potato (hard vegetables first) and 1/2 cup water (if still hard, add more water), simmer until half cooked. Now add the bean and peas, cook until all vegetable are soft and almost dry..
Add in garam masala, stir well and remove from heat. Transfer into plate and let it cool completely. Divide the dough into half, keep the other half covered. Roll out dough into 1/8 in thick. Using a cookie cutter or a glass, cut out into 5 in circles. Make a slit with a knife on top of the crust and place into baking sheet. Repeat with the rest of the dough. Preheat oven @ 185C. Brush with butter and bake for 25-30 minutes until golden brown. Let stand to cool slightly before serving. I really like these hand oies and filled with veggies, yum! Cute and delicious pies,love the stuffing. These look beautiful, I love hand pies. I need to try these. 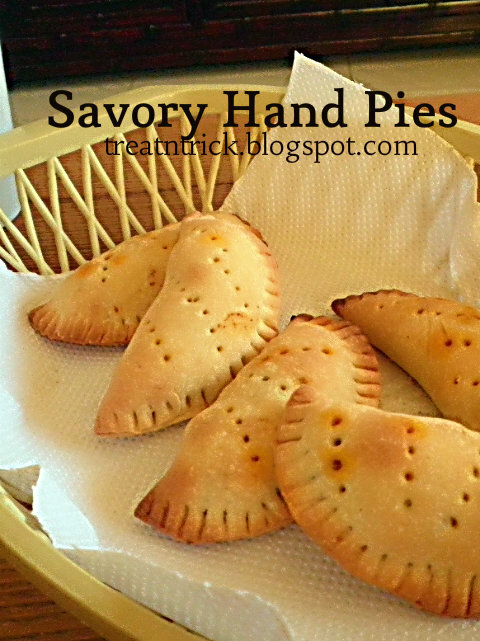 Hand pies are very inviting.. Nice recipe! Hi dear, how you been? Quite some time since I came here..the layout looking really nice!! wonderful recipe, they look so yummy..
really nice!.......lovely click!the pie is just jumping out waiting to be devoured! Just mouth-watering...fruit pies are one of my favs anytime....looks delicious! individual is a great twist! I make something like this but in one pastry.....this would individualize what i make and make it special for each person...how fun!! Thanks. These pies look so delicious and healthy. Oh YUM! My boys LOVE pies of any sort. I'll have to try making these this weekend. Thanks so much for sharing! These sound so warm and filling on a cold winter day! Oh, wow, those look and sound deLICious!! Thanks so much for taking the time to link up at Shine on Fridays! mmmm Cornish Pasties we call them. Haven't had one in ages. Might make them for dinner tonight though! Great inspiration! Yummy, yum. These would be so perfect for the little hand at our house. Thanks for sharing with us at Link It Up Thursday. Looks yummy!! I'm your newest follower-stop by for a visit! I am a finger food fanatic and these hand pie are right up my alley! Love your tasty veggie filling. This has been bookmarked. Oh my goodness - these look divine! I shared this idea in my Saturday 7 Spotlight today. Thanks so much for linking up this week! Looks very yum! Bookmarking this one. These look great! A nice alternative to Indian Samosas, and great for workday lunches, thanks for sharing this! Thank you for sharing the recipe at The Really Crafty Link Party. Do you think these would work with apple or pear filling? I think I'm coming to your house for dinner!! Thanks for sharing at the What's for Dinner party - have a wonderful weekend.